Here’s a video from the night from youtube. 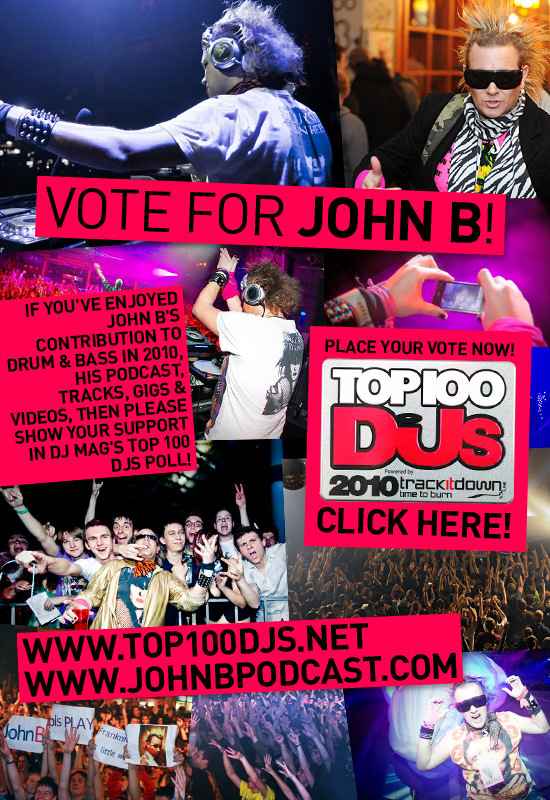 VOTE FOR JOHN B IN THE DJ MAG TOP 100! 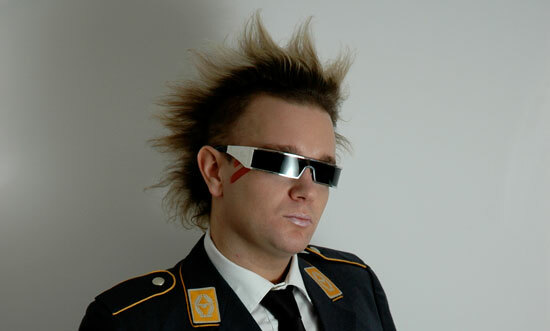 Please Vote for John B in the DJ Mag Top 100 Vote!! So its that time of year again where I need your vote! This is the only awards thing I really bother trying to get support for, so excuse me if it feels a bit spammmmy for the next couple of weeks (voting ends September 23rd I think). We need the votes if we’re going to get Electro Drum & Bass up there & fight against the cheesy Guetta-pokalypse, Jimmy Saville campaigns on facebook & old-guard DJs with major labels and big PR Teams behind them! Thanks to you guys last year I finally broke into the DJ Mag Top 100 (#92 overall) & actually made it as #1 Drum & Bass DJ which was an amazing achievement, especially for someone as far outside the typical, UK mainstream DnB scene… So THANKS… AGAIN!! This year we’re aiming higher so need your help to get things boosted! The poll is traditionally dominated by the big, pop, house & trance DJs, Tiesto, Guetta etc etc with major label PR budgets behind them, and DnB never really gets much of a look-in, so we need the votes even more – it would be absolutely MIGHTY if I could break into the top 50, or higher this year – so PLEAAAAASE go vote for me at http://www.top100djs.net/ and try to get your mates/grandma/cat to do it too!